GummyBearIntl, one of the most popular animation channels on YouTube, today announced it has surpassed a half million subscribers. The channel has generated more than 1.15 billion views, with an additional 2 billion views of its content via videos reposted by third parties on other channels, for a combined total of more than 3.2 billion YouTube views. Gummybear International, creators of everyone’s favorite animated singing and dancing green gummy bear character known as Gummibär, and owners of one of the most popular animation channels on YouTube, today announced that the channel has surpassed a half million subscribers. According to YouTube’s analytical data compiled since September 2009, the channel has generated more than 1.15 billion channel views in that time period with an additional 2 billion views of its content via videos reposted by third parties on other channels for a combined total of more than 3.2 billion YouTube views in that same period. What started as a 30 second animated clip has grown into a world-wide viral phenomenon that includes CD and DVD releases in more than 40 international territories, gold albums, platinum albums, multi-platinum albums, an animated Christmas special, lines of toys, apparel, merchandise, and gaming apps. Gummibär has transcended all geographic and cultural borders thanks in large part to him singing in more than 25 languages. Visit the official Gummibär YouTube channel at http://www.youtube.com/gummybearintl. I.O.U., aka Inside Our Universe, have teamed up with Radikal Records to release their first full-length album in digital format. “The Soul And The Intellect” can be previewed and purchased right now on iTunes, with other digital outlets coming very soon (see http://radikal.com for details). 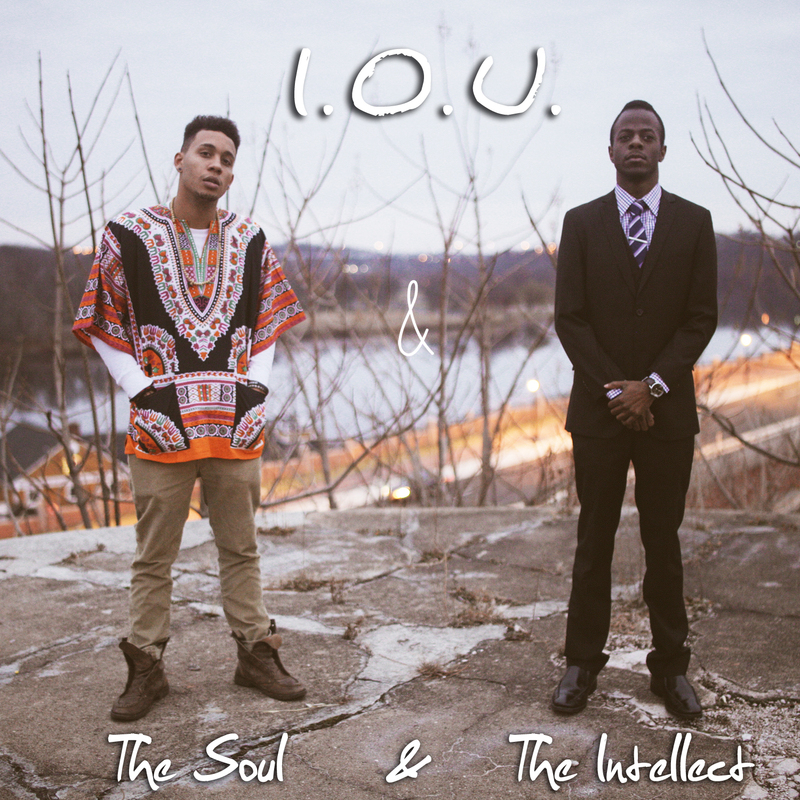 Radikal Records is proud to announce the worldwide release of I.O.U.’s debut album “The Soul & The Intellect,” available now on iTunes. I.O.U., an acronym for Inside Our Universe, is comprised of Izee and Buck, two young artists from South Brunswick, NJ who have created a following with their clean, mainstream pop/hip-hop sound, comparable to acts such as Black Eyed Peas. After three school pride anthems that went viral, and three mixtape releases in the past two years garnering attention from their Rutgers University colleagues and fellow college students across the country and beyond, opening for countless acts such as Big Sean, Far East Movement, Jake Miller and more, the boys linked up with Radikal Records to release their debut album. “The Soul & The Intellect” reflects the characters of both Buck and Izee, laidback Buck being the soul of the duo, and methodical Izee, producer behind the entire project, the intellect. Also featured as a vocalist on two tracks off the album is Evangelia, a Rutgers University student. When she’s not studying pre-med, you can catch her performing at the local coffee shops armed with her guitar and powerful voice. Radikal Records offers artists national distribution through SONY/Red Distribution, electronic distribution through iTunes, eMusic, Amazon and all major downloading services, and other resources including production, artist development, product marketing and licensing opportunities. In recent years, Radikal has worked with many artists including: 2 Unlimited, N-Trance, Zombie Nation, ATB, Yello, Scooter, Schiller, Blank & Jones, Cosmic Gate, Sinead O’Connor, Voodoo & Serano, Apollo 440, Ayah Marar and others. Visit http://www.radikal.com for more information. Salt Ashes’ first single “Somebody” will be released in digital format on January 14th via Radikal Records. Visit http://www.radikal.com for more information. Emerging singer Salt Ashes, aka 22 year old Veiga Sanchez, announces her debut single “Somebody,” set for release on January 14th on Radikal Records via all major digital outlets, including iTunes, Amazon and Spotify. A special edition 12″ vinyl single is also planned for release some time in February or early March. Only 1,000 units will be produced of this sure to be collector’s item, with limited distribution in the US and UK. Fans can check the Radikal Records for news regarding the release of the vinyl single. Obsessed with Giorgio Moroder’s blend of disco and epic dark atmospheres, Salt Ashes first sprang to attention with her cover of Depeche Mode’s “Black Celebration.” Salt Ashes has spent the past year honing her own songs in the studio, creating her signature electronic grooves, and drawing influence from artists as diverse as Madonna, Kate Bush, Daft Punk and MIA. “Somebody” is just the first taste of this young talent, Salt Ashes, who will be releasing her first full length album sometime in the summer of 2014. 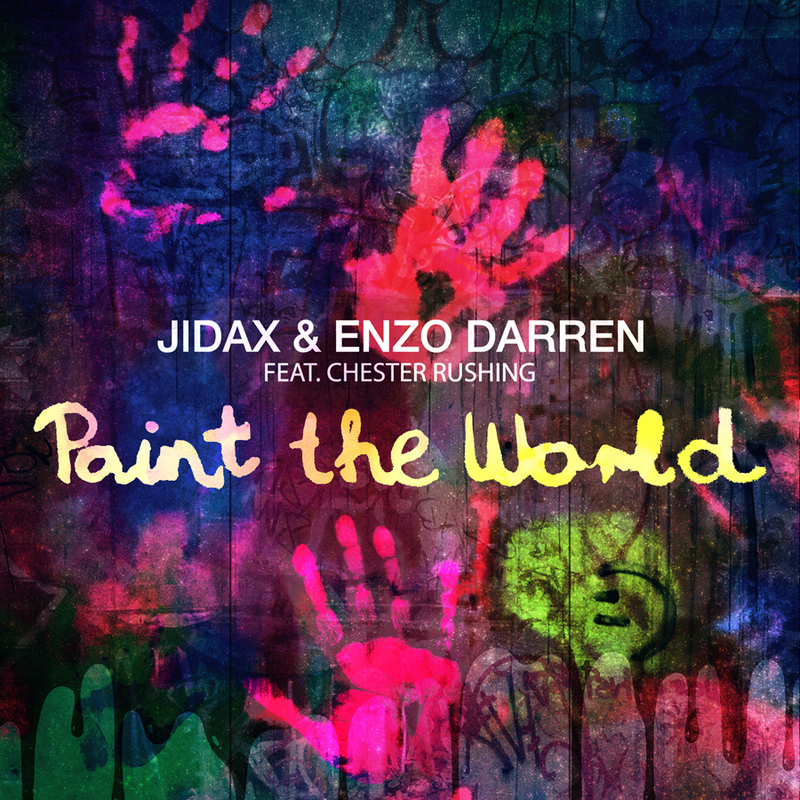 Jidax and Enzo Darren’s “Paint The World” featuring Chester Rushing will be released on January 14th on all major digital outlets, including iTunes, Amazon and Spotify via Radikal Records. Visit http://www.radikal.com for more information. Jidax and Enzo Darren’s “Paint The World” featuring Chester Rushing will be released on January 14th on all major digital outlets, including iTunes, Amazon and Spotify via Radikal Records. The single package also includes remixes by Lush & Simon and Dirty Rush & Gregor Es. All tracks may be listened to for free or purchased on the Radikal Records website. “Paint The World,” an inspirational club track with an uplifting vocal melody is the result of a collaboration between some familiar and up-and-coming names in EDM. Chester Rushing is a young, American singer songwriter who’s hot on the heels of super-stardom. “Paint The World” is his first offering into the EDM genre, but perhaps not his last. Renowned Animation Director Rohitash Rao, best known for his stop motion commercials for Honda and his recent music video for A Great Big World produced “Xmas Town” – Gummibär’s first ever Claymation Video – at ShadowMachine Studios in Los Angeles, CA, the facility behind the Adult Swim series Robot Chicken. 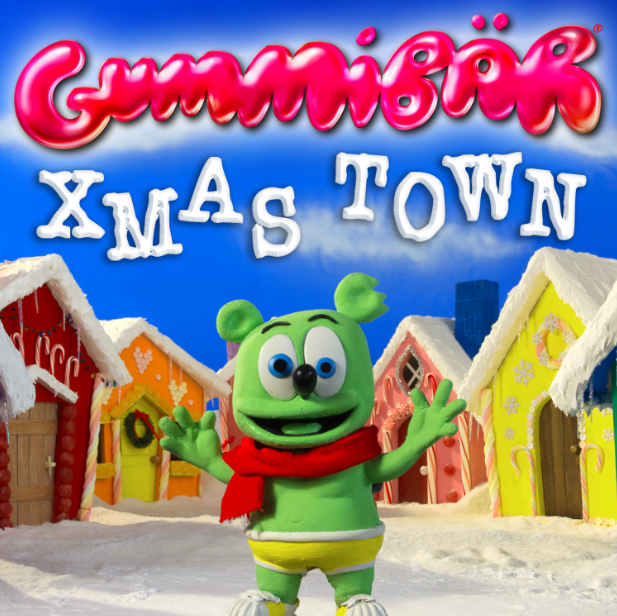 The video features Gummibär singing and dancing in a snow-covered Christmas Town with his sweet and snowy holiday friends, Gingerbread Man and Snowman. Gummibär pulls out all the stops; even playing a candy-cane xylophone to the beat of his catchy new tune. “Xmas Town” has also been released as a digital music single in conjunction with the video. The single is available on iTunes: https://itunes.apple.com/us/album/xmas-town-single/id787333808. The video can be viewed on Gummibär’s popular YouTube channel: at http://www.youtube.com/gummybearintl. 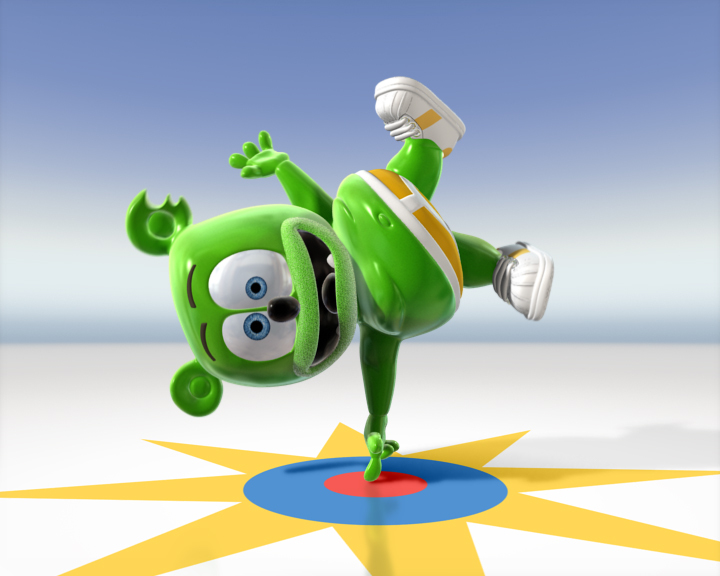 The first Gummibär videos were posted online in 2006 and since then the character has grown to immense popularity around the world. The official Gummibär YouTube channel now has over 1.5 billion documented views and Gummibär videos average 3 million views every day across the network. The character’s songs, CDs, and DVDs have been released in over 40 different countries and in over 27 different languages. 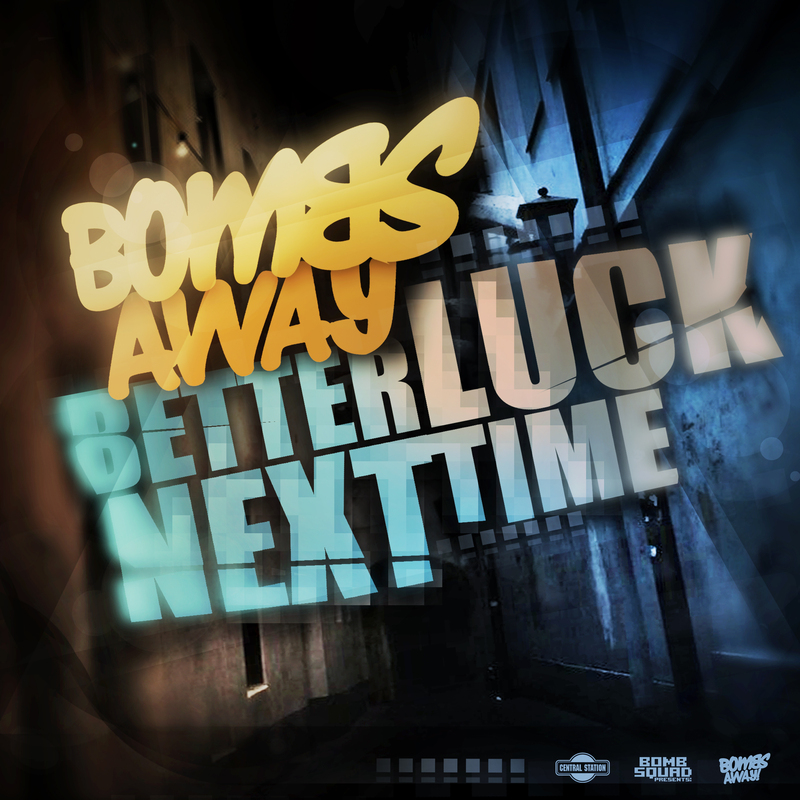 Bombs Away’s latest single Better Luck Next Time is available today along with a brand new music video and remixes Stefan Dabruck, Joel Fletcher and Party Favour. Visit http://radikal.com for more information. Already gaining international support, “Better Luck Next Time” is the duo’s first single where we hear them singing, with a melodic vocal chorus as well as their trademark verses, adding a new dimension to their ever evolving sound. The music video stars Australian X-Factor host and ex Home And Away Australian soap star, Luke Jacobz, cast as the “dark hero” in a journey to find his passion, climaxing in an unexpectedly epic croquet battle with the Bombs Away boys. The single package includes 6 remix tracks from the likes of MOti, Stefan Dabruck, Joel Fletcher and more, and is available everywhere today, including iTunes, and the Radikal Records website (http://radikal.com) The new music video premiered this past Monday and can be seen on the YouTube network. 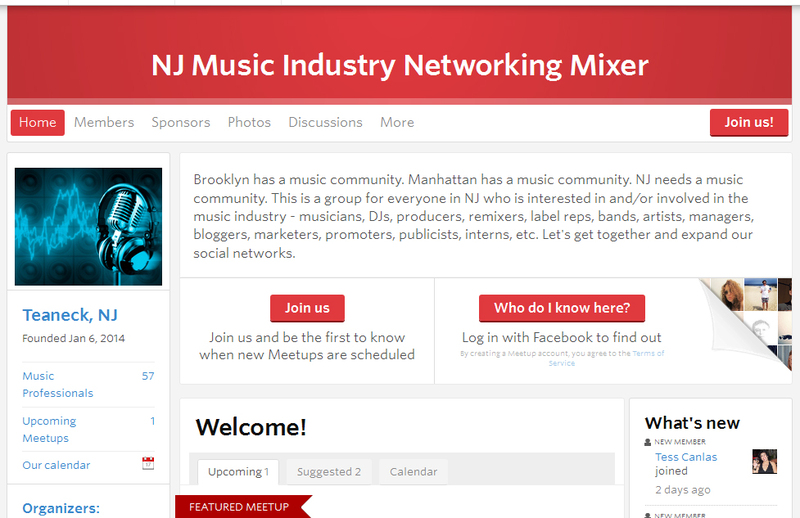 Radikal Records offers artists national distribution through SONY/Red Distribution, electronic distribution through iTunes, eMusic, Amazon and all major downloading services, and other resources including production, artist development, product marketing and licensing opportunities. In recent years, Radikal has worked with many artists including: 2 Unlimited, N-Trance, Zombie Nation, ATB, Yello, Scooter, Schiller, Blank & Jones, Cosmic Gate, Sinead O’Connor, Voodoo & Serano, Apollo 440, Ayah Marar and others. Visit http://radikal.com for more information. 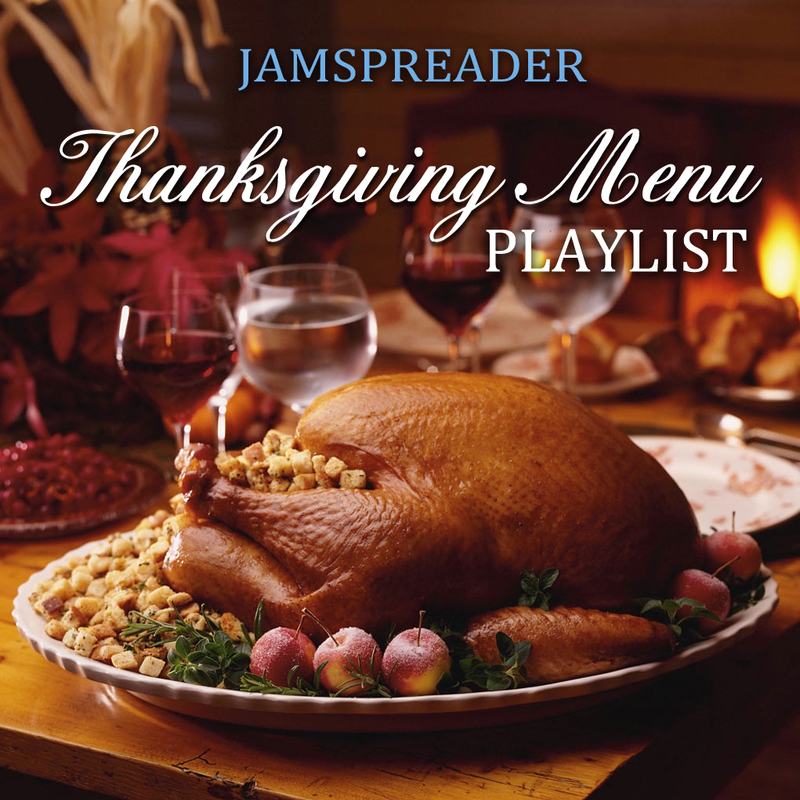 Music blog JamSpreader.com creates a Thanksgiving Menu Playlist for those who are unable to share a Thanksgiving meal with their family and friends due to what they believe is a predominance of corporate greed on Thanksgiving. As such, they have created a Thanksgiving Menu Playlist to share with everyone who won’t be able to share a Thanksgiving holiday meal with their family and friends, but instead will be working so that major corporations can increase their bottom lines. Mac And Cheese – G.W.O.V. Www.gummibar.net has announced a Thanksgiving Coloring Page Contest. Gummibär fans can download a special Thanksgiving coloring page and then post their work for a chance to win a brand new Gummibär Plush Toy (plus free shipping) from the http://www.gummybearshop.com/. To enter the coloring page contest, Gummibär fans need to go to http://www.gummibar.net where they can download the special Thanksgiving Coloring Page in PDF format. Once the page is printed and colored, contestants must post a picture or a scanned image of the coloring to Gummibär’s Facebook wall (http://www.facebook.com/funnygummy) before 3:00 PM EST on Monday, December 2nd, 2013. Two lucky winners will be chosen: The Facebook post with the most likes and one other winner via a random selection process. Both winners will receive a cute and cuddly Gummibär Plush Toy. About Gummibär: The first Gummibär videos were posted in 2006 and since then the character has grown to be immensely popular around the world. The official YouTube channel for Gummibär today has over 1.5 billion documented views and continues to average about 2 million views every day. The Gummibär YouTube channel also ranks as the 27th most viewed musician of all-time and is the 67th most viewed channel of all-time. 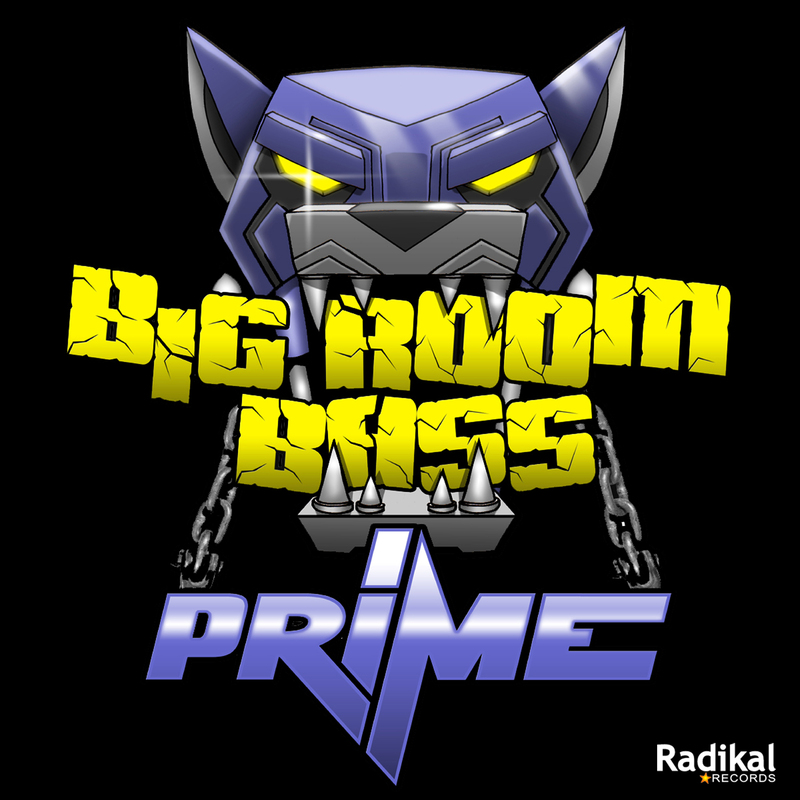 New York City based DJ Prime has released his latest track “Big Room Bass” on Radikal Records. Available now on iTunes, Beatport and the Radikal website (http://radikal.com). A veteran night club MP3 pusher and NYC radio DJ, Prime has been pumping out mash-ups and bootlegs for some time now, and has had some great success with “So Fly” featuring Oh Snap!! Released through Bomb Squad Presents, “So Fly” saw major radio spins in Miami, Chicago, Detroit, NYC and California with over 300 media base spins domestically. Along with two mixes from Prime, the single package is rounded off with remixes from Erik Floyd and Owen Ryan. All mixes are available now on the Radikal website (http://radikal.com), iTunes, Beatport and other major online music outlets.